This book is written through the lens of patients, caregivers, healthcare representatives and families, highlighting new models of interaction between providers and patients and what people would like in their healthcae experience. It will envision a new kind of healthcare system that recommends on how/why providers must connect to patients and families using HIT, as well as suggestions about new kinds of HIT capabilities and how they would redesign systems of care if they could. The book will emphasize best practices, and case studies, drawing conclusions about new models of care from the stories and input of patients and their families reienforced with clinical research. Preface. Introduction. Minor and Acute Illnesses-the Future of Primary Care. Acute Care and Hospitalization. DIY Healthcare. What Caregivers Need and Want. Behavior Change. Programs that are Working Today. Whole and Alternative care. Call to Action/Conclusions. Jan Oldenburg, FHIMSS is a nationally recognized thought leader on consumer health information strategy and patient engagement. Through her work with Ernst & Young, she helps organizations create and implement strategies related to patient/provider engagement and activation with a focus on digital health technology. Prior to her current role within EY's Advisory Practice, she was the Vice President of Patient and Provider Engagement in Accountable Care Solutions at Aetna, where she helped build patient and provider engagement programs for Accountable Care Organizations. Before that, Ms. Oldenburg was a senior leader in Kaiser Permanente's digital strategy group and a principal in several consulting companies focusing on strategies for using the digital technologies effectively in healthcare. She is the primary editor of Engage! 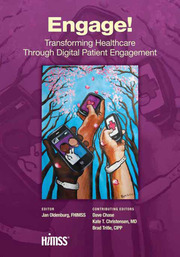 Transforming Healthcare through Digital Patient Engagement, published by HIMSS in March, 2013 and received the "Best Book" award at HIMSS14. Currently, she is the Vice-Chair of National HIMSS Connected Consumer Workgroup. She is also a member of the Consumer Empowerment Workgroup of the Health IT Policy Committee of ONC. Associate Editor, Mary Griskewicz, MS, FHIMSS is the Director of Strategic Sales for HIMSS, HIMSS leads efforts to optimize health engagements and care outcomes using information technology. With more than 20 years’ experience in healthcare policy and clinical systems management, Griskewicz had led HIMSS ambulatory, clinical & business analytics, connected patient/consumer, payer and life sciences initiatives, including strategic, tactical and outreach activities. Before joining HIMSS, Griskewicz was the Director of Government and Industry Affairs for GE Healthcare’s Global Strategy and Health Information Services Division. She also served as the Director of Corporate Strategy and Business Development for IDX systems. She has held other management and consulting positions in the healthcare industry, working in healthcare in the provider (Yale New Haven’s St. Raphael Campus), payer (Anthem BCBC in CT, Aetna, CIGNA) and consulting settings. Griskewicz has authored many publications and speaks nationally on Health IT. She has received several industry awards, including the CHEST Physicians, Clinical Resource Center Education Award, HIMSS Leadership Award, Special Interest Group Award and Spirit of HIMSS Award. She has authored articles and federal legislation, as well as provided Congressional testimony on the adoption and use of health information technology. Griskewicz has a Master’s degree in Industrial Relations from the University of New Haven and a Bachelor’s degree in Political Science/Public Administration from Central Connecticut State University. She is also a HIMSS Fellow. 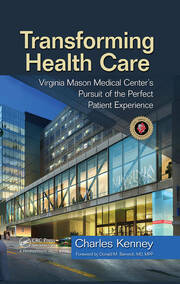 "In 2030, we’ll look back at this book as the first to document the most compelling change ever to occur in healthcare. Participatory Healthcare combines the facts, figures, trends and market forces driving person-centered health with the heart and soul of the patients who are leading this movement. I’ve made it required reading for all at WEGO Health, and it’s a must for every stakeholder in healthcare." 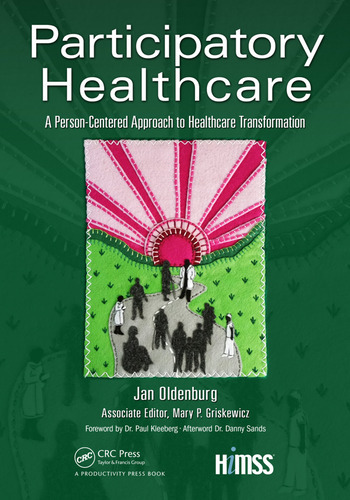 "Participatory Healthcare, edited by Jan Oldenburg with Associate Editor Mary Griskewicz, could become the defining textbook of our field – the new cornerstone of our movement… This book is a fitting continuation of Tom Ferguson’s legacy: by reframing the discussion around the role of patients in healthcare, it makes the case for a world-changing paradigm shift in our approach to patient care. Participatory Healthcare provides exactly what we need: conceptual essays and pragmatic stories that demand to be heard. I very much hope you’ll read it, from cover to cover."